Barkley was 19 of 20 for 298 yards and six TDs against Colorado. 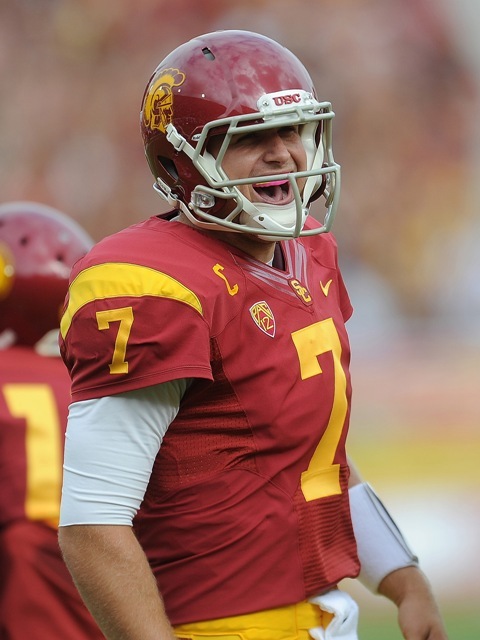 His six TDs tied the most passing TDs in a game USC record and broke Matt Leinart’s all-time career USC/PAC-12 record with 102 career touchdown passes. His 19 of 20 passes also broke a PAC-12 record for highest completion percentage (95%) set by Rick Neuheisel in like 1935 or something.